Whether your business is healthcare or lawn-care, your business is what you do well. 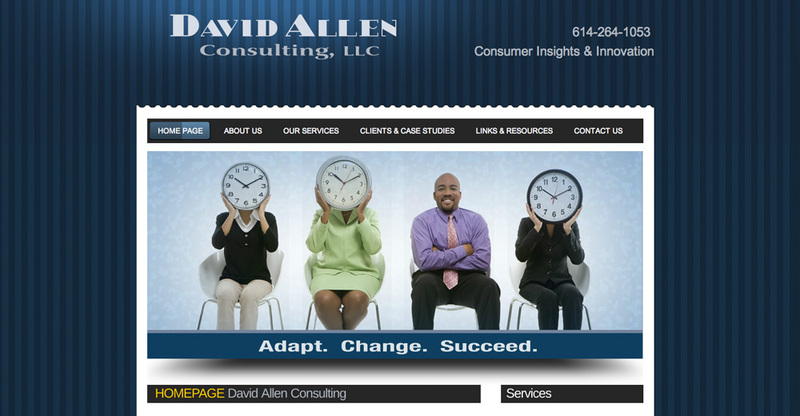 David Allen Consulting can help you by doing what they do well. They provide full service, customized technology consulting, planning, implementation, maintenance and support, at affordable rates. Create business collateral for a new business, operating in Ohio, providing marketing and consumer insight services. 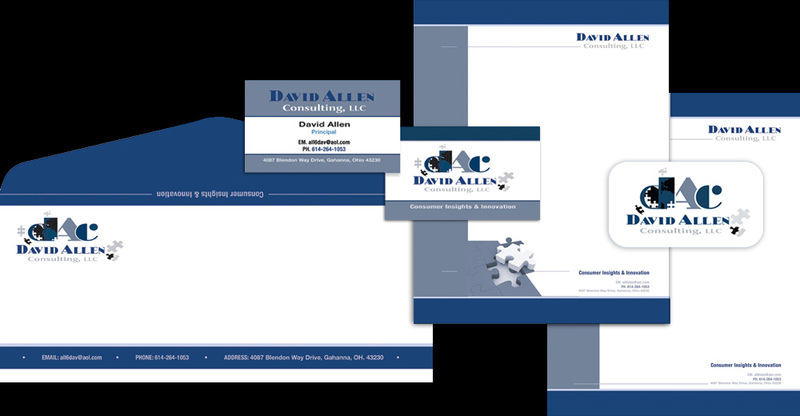 A logo design was created to illustrate David Allen Consulting as bringing together many pieces of the puzzle. This in turn would come to symbolize/reflect the wide range of services the company provides: From customized technology consulting, planning, implementation, maintenance and support to marketing and consumer insights.